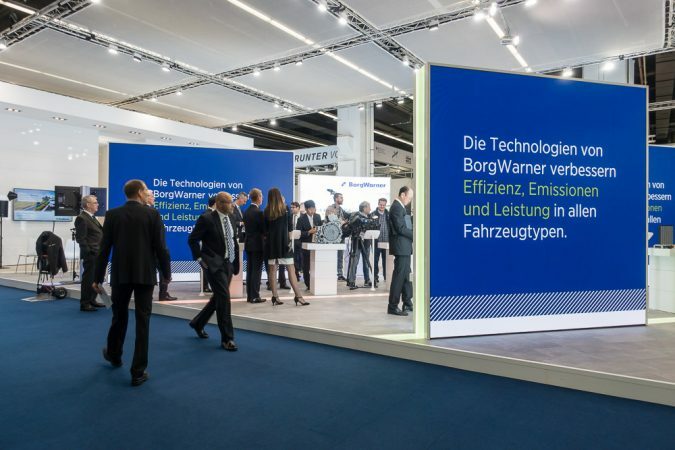 Other than the eBooster we had a look at recently, over at the BorgWarner booth on the 2017 IAA, they were revealing something else similarly intriguing. While the eBooster was a concept that’s made to keep the fossil fuels burning, this one is rather different and avant-garde. It’s no secret that the fossil fuel as we know it is going away. Some nations are even taking drastic action to alleviate the rate of fossil fuel consumption, but it’s still delaying the inevitable. Therefore, companies are scrambling for a viable alternative energy source. The answer? As of now, electricity. Motors enjoy a host of benefits over internal combustion engines. Thus, engineers are working on ways to innovate and build upon what we have right now, in the pursuit of efficiency. One of them being BorgWarner, a vanguard of cutting-edge EV technology. 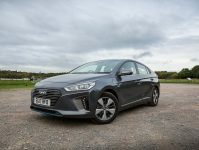 As their latest concept, the Electric Drive Module, sets out to prove. While the Electric Drive Module (eDM) might look convoluted upon first glance, it’s actually a really simple concept. What BorgWarner essentially did was combine the technology that they own and are already proven and applied on the market. This simple epiphany however, promises multiple added benefits. 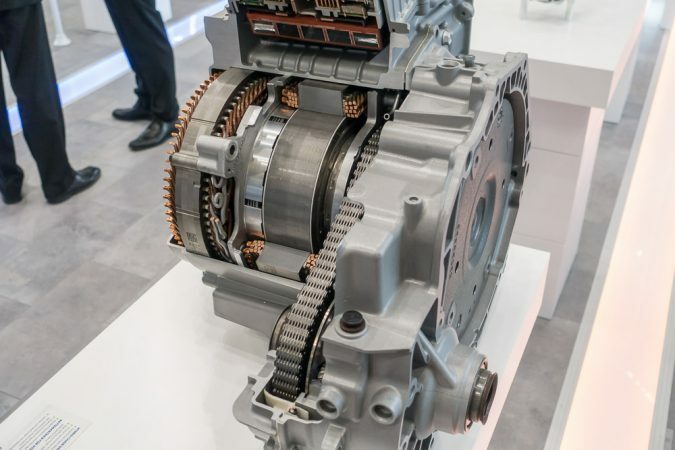 What the above single integrated unit contains is BorgWarner’s eGearDrive system, their newly acquired electric motor, and a thermal managing system. It’s meant to be either the main propulsion system or as an aide in an internal combustion engine system. BorgWarner is quite excited about their Remy-sourced electric motor being used to complement the eGearDrive as well. Named the HVH 250, it’s a hyper-efficient electric motor that boasts over 95% efficiency. HVH in the name stands for High Voltage Hairpin, which is basically a coil winding technique and cooling strategy to maximize efficiency and power density. 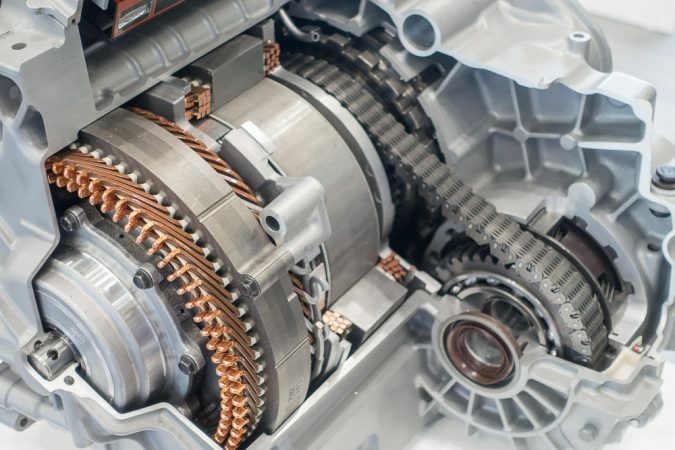 The eGearDrive is a widely used transmission for electric motors over in China. It’s optimized for high efficiency while maintaining minimum noise emission. BorgWarner proudly touts the fact that 99% of the material used in an eGearDrive system is recyclable too. So, what’s the big deal? The biggest, most apparent advantage this sort of setup sells is the fact that it saves on space. Compactness is a big selling point to many manufacturers, as it cuts down on weight, and weight is a sandbag that haunts EVs. 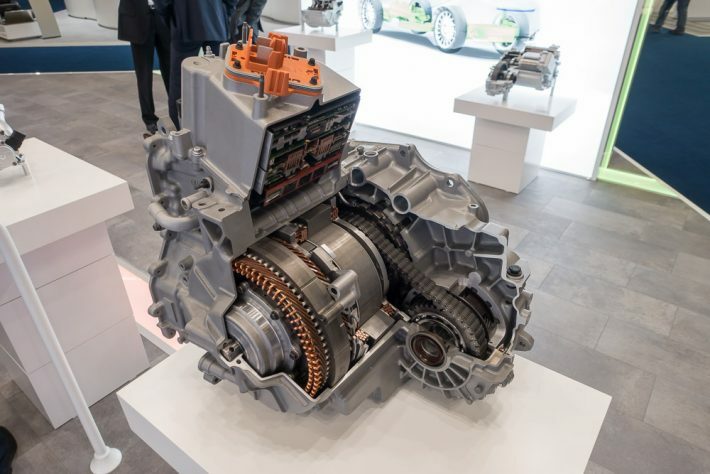 In fact, this tiny package that features the drive and transmission is about the same size as a contemporary automatic transmission, imagine that! By saving space and costs, the eDM enables electric vehicles to be made even smaller, while maintaining a respectable power output. In fact, the HVH 250 motor used here can put out as much as 305 kW, and 408 Nm of torque. The motor, in its compact dimensions, can be configured individually to cater for different needs. Important for modularity and compatibility with current EVs. Directly driving the transmission box also cuts down on energy loss, crucial to optimum efficiency, but the power still has to be transferred somewhere. By now, you should have noticed that efficiency is a big concern, because it’s key to mitigating range anxiety. What’s the con? By combining the motor and transmission, two things that will spin at incredible speeds, you have to deal with friction. And with friction comes heat, in a small adjoined powertrain. Of course, BorgWarner understands this, hence the integration of the thermal management system. Not much detail is given on how the thermal management doodad will handle the heat. What we know though, is the fact that BorgWarner has plans to put the Electric Drive Module into production in China. If they’re so confident as to put their concept into production, we can only assume that they must’ve solved this glaring issue. 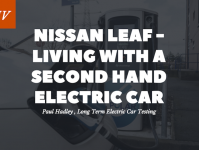 With expected hybrid market growth to a quarter of the automobile market in 6 years, and an ever-broadening pure EV appeal, it’s likely that we’ll see this system being put through its paces very soon. BorgWarner seems prepared and adapted to the expeditiously shifting market. It’s inevitable that one day the internal combustion engine as we know it will disappear completely. What do you think? Bleak, or perhaps brimming with light?